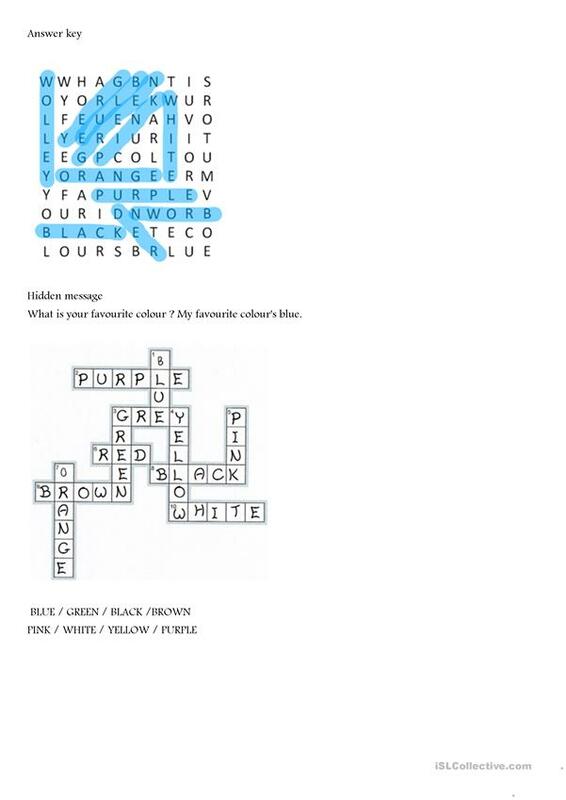 This worksheet is designed to help pupils review basic colours through 5 activities, pupils have to colour paint cans, they can have fun with a crossword puzzle and a wordsearch with a hidden message, they have to speak about their favourite colour and finally they are asked to practise their spelling. 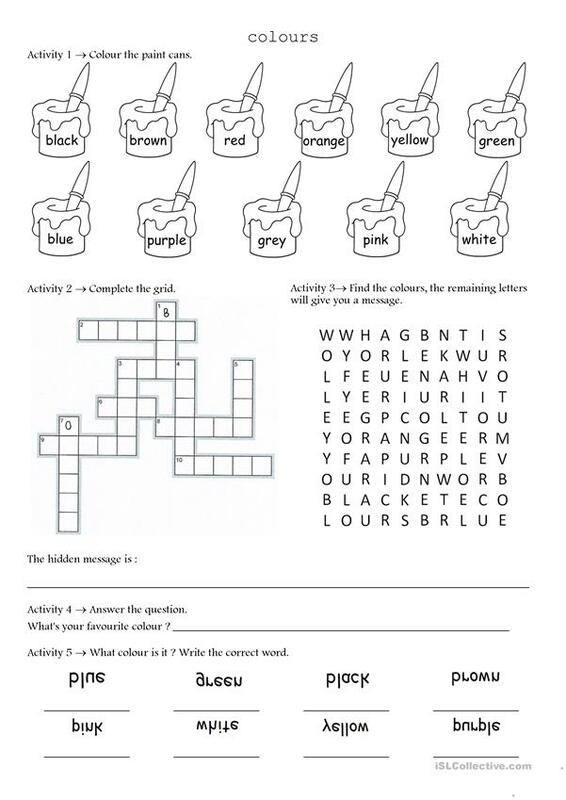 The above downloadable handout is best suited for high school students and elementary school students at Beginner (pre-A1), Elementary (A1) and Pre-intermediate (A2) level. It is excellent for strengthening your learners' Spelling skills. It focuses on the vocabulary topic of Colours. It includes the solutions, too.